Many people tend to collect a lot of one thing or another – some people really enjoy a large media collection, others have hundreds of different model trains. What some fail to realize is that there are practical organizational solutions available for your computer that allow you to catalogue your collections – and most are completely free. Here are a few favorites that may prove to be useful in managing your own things. Our list leads off with what is probably the most practical option out there, and most certainly the one with the most bells and whistles that have some kind of pragmatic purpose. My Movie Library allows you to keep track of your entire Blu-Ray, DVD, VHS, or digital copy collection in one quick and simple to navigate place. The interface is extremely clean and simple, and it allows you to access your information without having to hunt for it. Best of all, by working your way through the Add Movie process, My Movie Library will actually find information about your movies from the internet, pulling everything you need from the International Movie Database online. You can sift through your titles by a number of identifiers like title, director, or even IMDb rating, and the program can even launch movies that are saved to your computer right into your favorite media player. 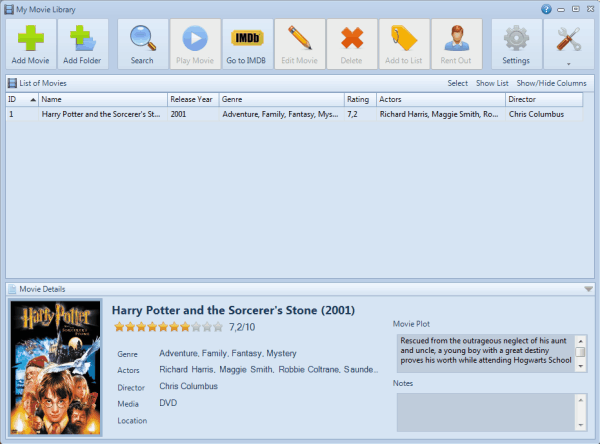 When it comes to collection management software, My Movie Library reigns at the top of the list. Let’s face it – if your valuables are taken from your home, the only way to expect to get them back is to have a database with information about them. You need to know what company made your items, exactly what they looked like, any distinguishing markings they may have had, and even their value. Without such information, authorities will likely be at a loss when it comes to track your things down. By using Record Tracker, you can take a solid step towards protecting your things and being ready for such an emergency. The program allows you to make customizable fields for your collections and lets you arrange entries by category, like jewelry, artwork, firearms, or anything else you might want to catalogue. As one might expect, Record Tracker also provides a field for notes and an image. This one makes the list simply because hobby software deserves more attention than it usually receives. Keeping your collections in line is quite simple, particularly if you hunt down database programs made specifically for your interests. 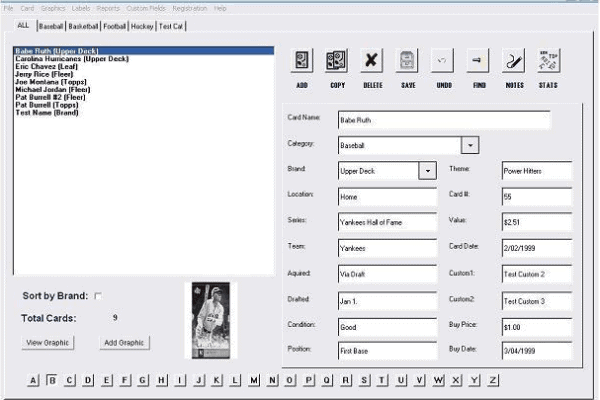 Sports Card Collector, for instance, provides fields for absolutely everything you might want to include about each item in your collection, and even allows you to create customized fields for data. It allows you to browse your catalog by multiple fields, such as player or brand, and again includes space for an image. All of these programs provide two things – the ease of intelligent cataloguing and the safety of insurance documentation. If you really care about your collection or want to be able to access it as easily as possible, consider finding software that simplifies the task. Some time ago I was looking for a program to manage my not so little videogame collection. After trying some of them I found GCStar (http://www.gcstar.org). It’s a very good program not only for videogames.